The Trilogy Challenge is a great event for disc golfers of all skill levels. 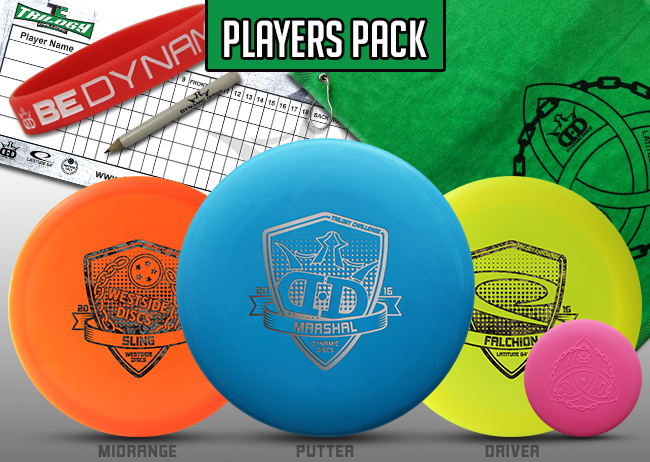 Beginners will get an ideal starter set with high quality golf discs. Intermediate players get to try new discs from different companies, and get a taste of the disc golf tournament atmosphere. 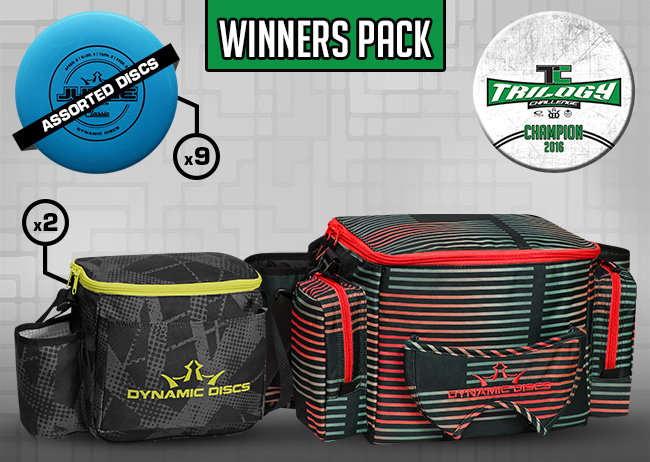 Advanced players get three unreleased PDGA approved discs and can compete for a valuable prize package that includes the Dynamic Discs Soldier bag and premium Trilogy discs. Everybody has fun and gets to play the stellar Old Main Hill disc golf course at the campus of Utah State University (500 N 700 E in Logan). This course has long holes, short holes, technical holes, mature trees, and lots of elevation changes. Based on registration, there may also be prizes for winners of Women’s and Junior’s divisions. The Old Main Course will have 13 holes. Players can choose to play in the recreational division (one round of disc golf on a fun temporary course with awesome new discs), or play two rounds and compete against the best disc golfers in Cache Valley for the grand prize. Recreational players can play 18 holes during the morning with their awesome new discs and be done with their disc golf round by noon. Competitive players who want to compete for the grand prize will return to the course after lunch and play a second round of 18 beginning at 12:30. The lowest score (combined from both rounds) takes home the grand prize. Players must use only the three new Trilogy discs provided in the players pack for all throws in the Trilogy Challenge. To help raise funds for the Cache Valley Classic, players may purchase up to 5 Mulligans for $1 each. These Mulligans may be used during either round. When using a Mulligan, the player must use a different Trilogy challenge disc than was used for the first throw. Because there is actually no course available, we need to rely on players with portable baskets to bring and set up their baskets at appropriate locations. If you have a basket (or 2 or 3 that you can bring) click the appropriate box at checkout and we will give you a discount registration price.